The romantic room that Florence offers to you has an incredible location. 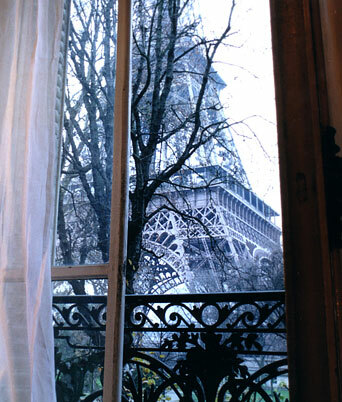 Just behind its vaporous curtains is the most popular french monument : the Eiffel Tower. Florence is a radio journalist and lives with her son. Passionate about architecture and painting, she will give you good advice for your visits around Paris and your evening activities.